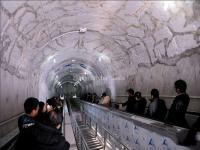 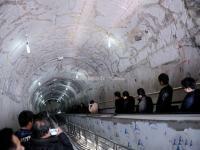 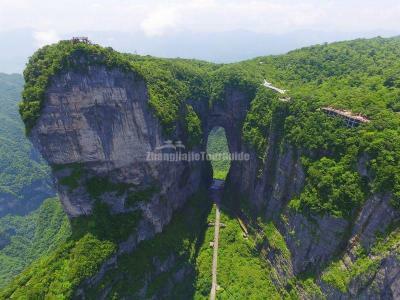 A cable car was constructed by the French company Poma from nearby Zhangjiajie railway station to the top of the mountain. 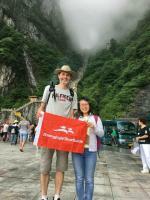 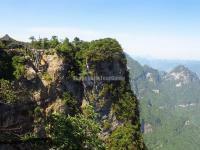 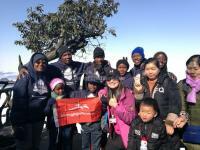 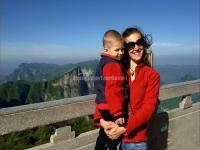 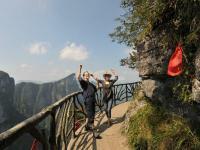 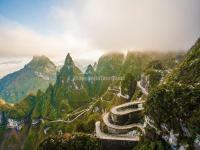 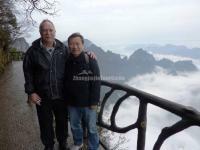 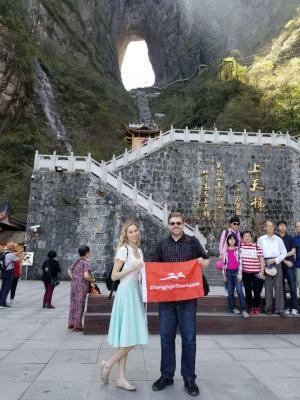 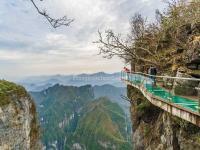 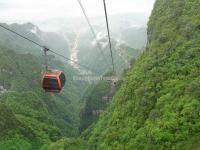 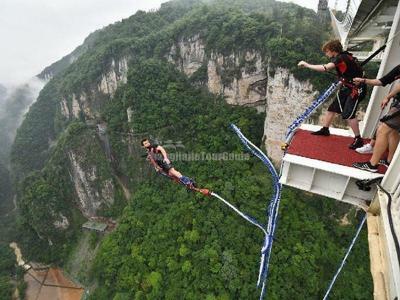 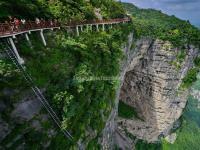 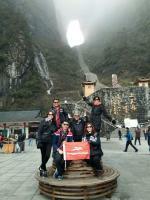 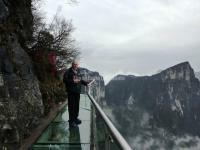 Tianmen Mountain Cableway is claimed in tourist publications as the "longest passenger cableway of high mountains in the world", with 98 cars and a total length of 7,455 meters and ascent of 1,279 metres. 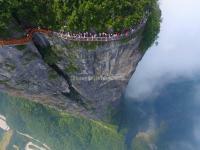 The highest gradient is an unusual 37 degrees. 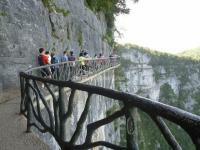 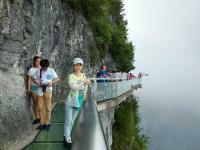 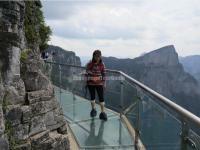 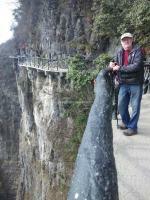 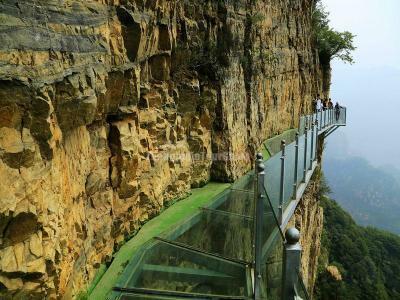 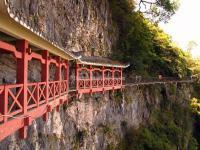 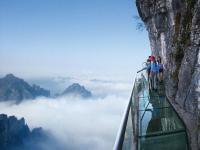 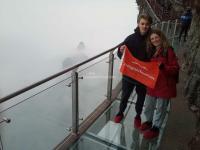 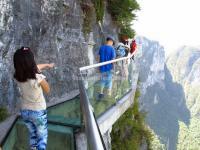 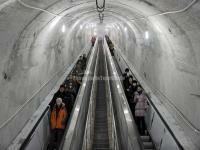 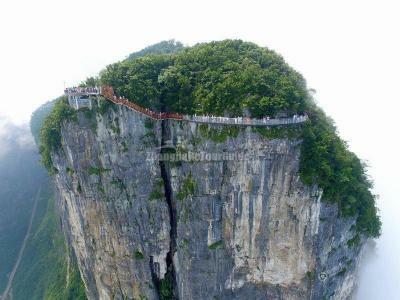 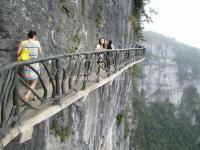 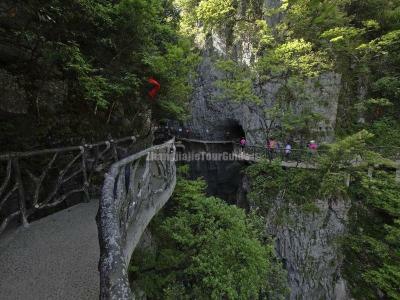 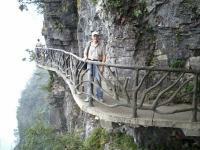 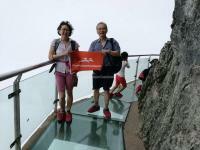 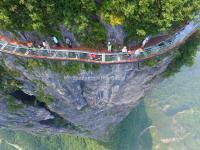 Tourists can walk on kilometers of paths built onto the cliff face at the top of the mountain, including sections with glass floors. 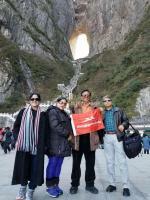 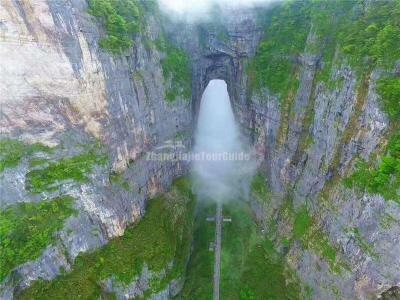 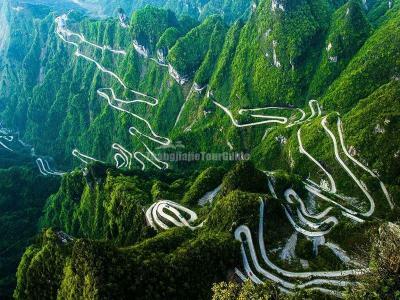 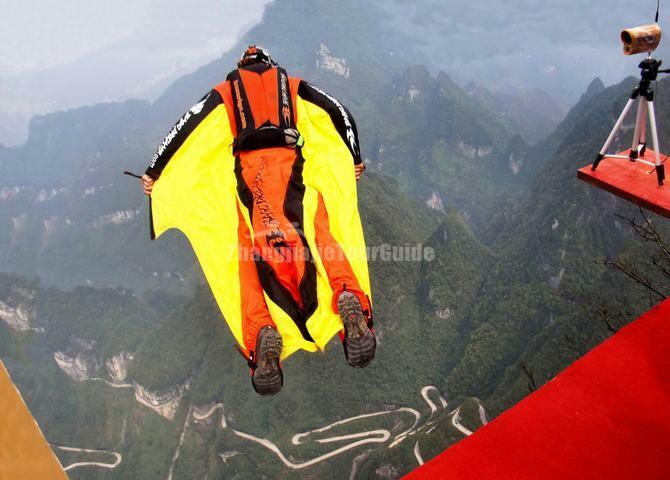 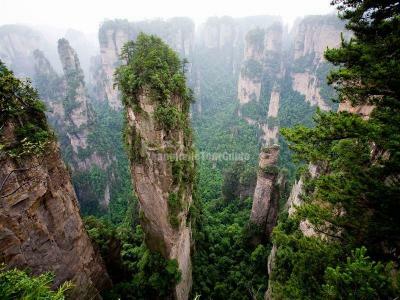 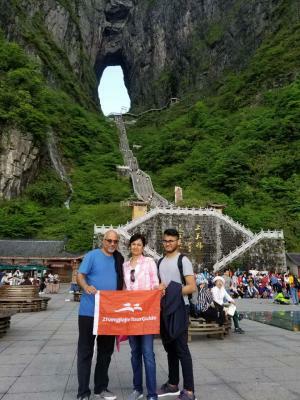 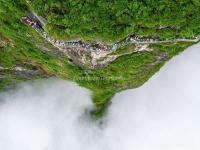 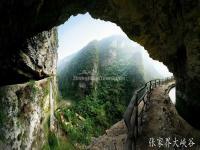 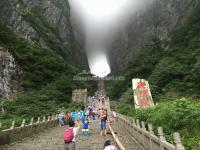 An 11 km road with 99 bends also reaches the top of the mountain and takes visitors to Tianmen cave, a natural hole in the mountain of a height of 131.5 meters. 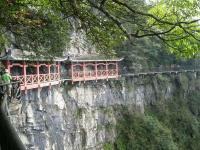 A large temple is also located on the summit with chairlift or footpath access. 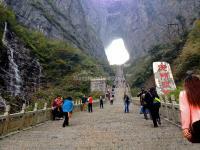 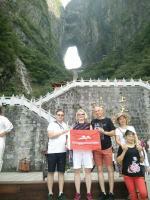 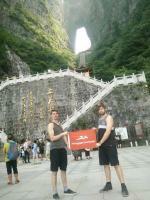 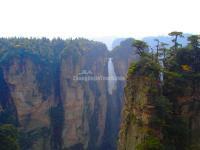 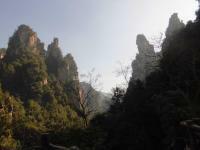 The original temple here was built in the Tang Dynasty. 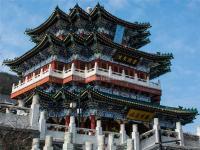 Today a more recent construction with Tang dynasty architecture occupies the site and includes a vegetarian restaurant in the 10,000 square meter setting.